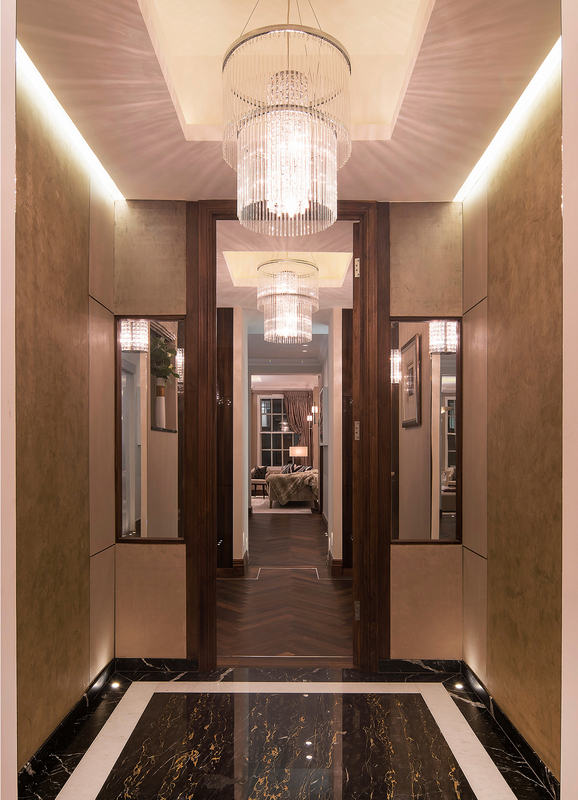 This week’s instalment of the #SBIDinspire interior design series features an illustrious Mayfair apartment, seamlessly integrated with premium quality textures and materials, then finished with high-end furnishings to create the ultimate luxury aesthetic. Akin to the exceptional gentry and opulent nature of its neighbouring properties in the exclusive and sought-after territory of Mayfair’s Park Lane, this ultra lush pad is definitely on par with the beau monde of London’s residential elite and has encapsulated the essence of luxury with distinction; boasting the latest in interior technology. The brief was to create a fluid interior design scheme with effortless transition, whilst adhering to symmetrical elevation structures. 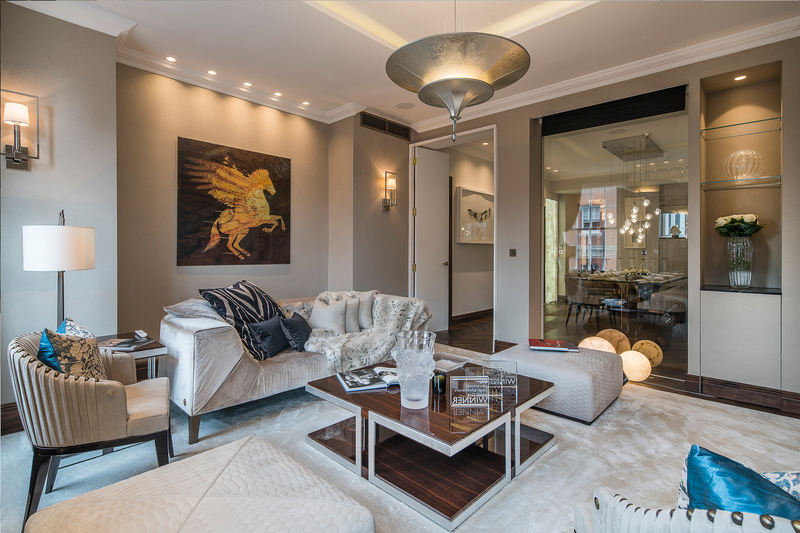 Luxurious finishes were also a necessity given the apartment was next to Park Lane with the best technology integration that was on the market. Structurally we were required to open up the floorplate and increase the ceiling heights throughout to achieve the best possible design result. The interior design of the property was inspired by a few key principles. The location was a key driver in the aesthetic. 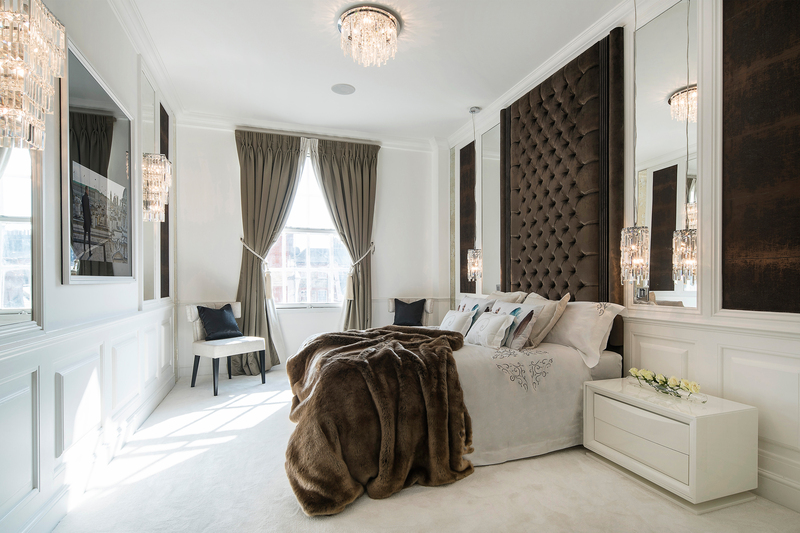 We needed to create an opulent and luxurious look in a modern way. We also wanted to set a benchmark on the design principles of 1.61 London with all of our years of experience in the industry. 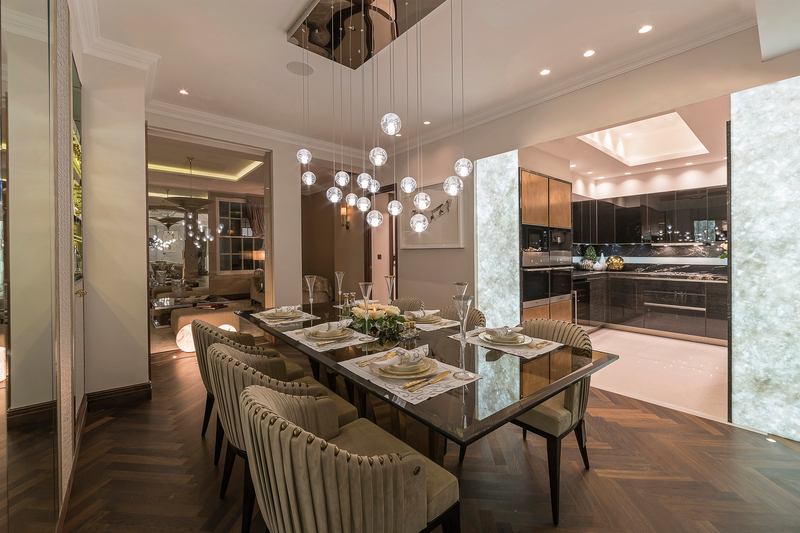 We wanted to combine and tie together the very best elements we had seen in the interior design industry and create a breathtaking apartment. In any Central London building, working in tandem with buildings surveyors is always tough. You are always having to push the marker to get them on board with a unique design request. 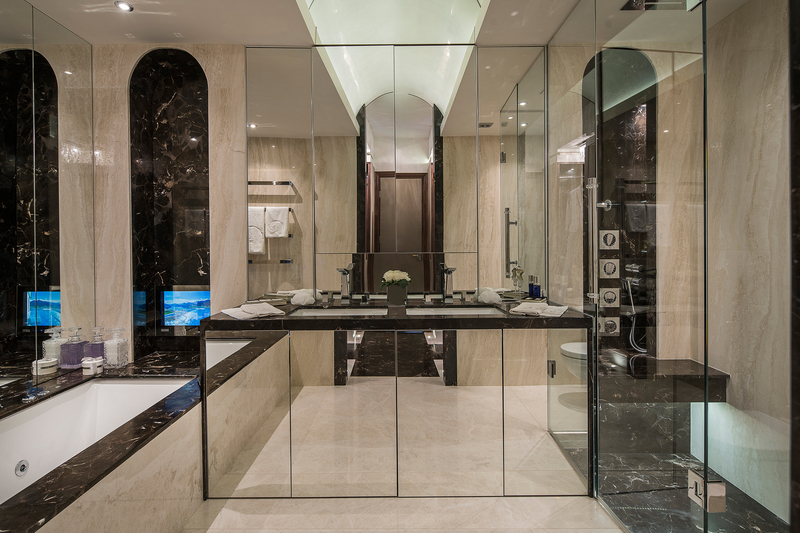 There were so many tough hurdles we overcame to deliver the end scheme from rebuilding the floors structure to achieve a 3.1m ceiling height, adding intricate ceiling details, including the master bathroom polished plastered arch. The duo sync FR glass sliding doors hidden in front of back lit onyx end panels were a particularly unique and difficult design creation because we had such limited depth to achieve everything we wanted in a fire rated manner. I think it was all the amazing textures and materials we managed to incorporate into the project. 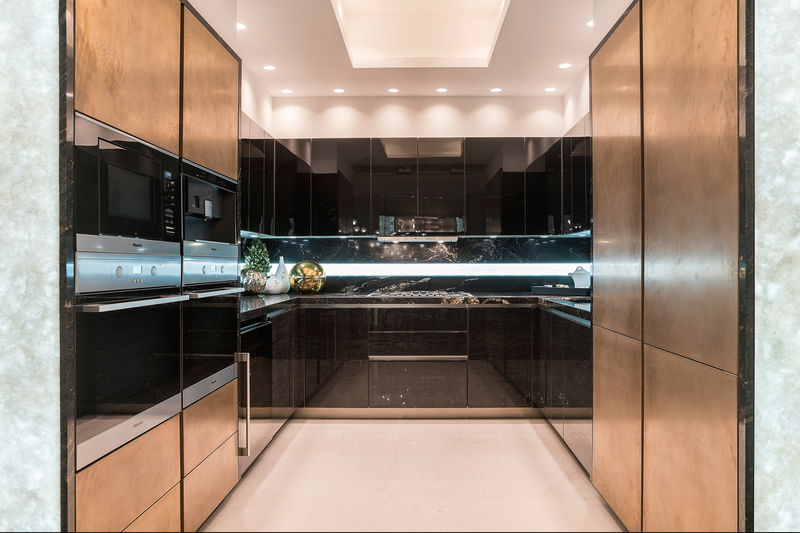 In the kitchen, back lit onyx panels stand opposite to elevationally identical doors, finished in mirror, polished plaster and metal. 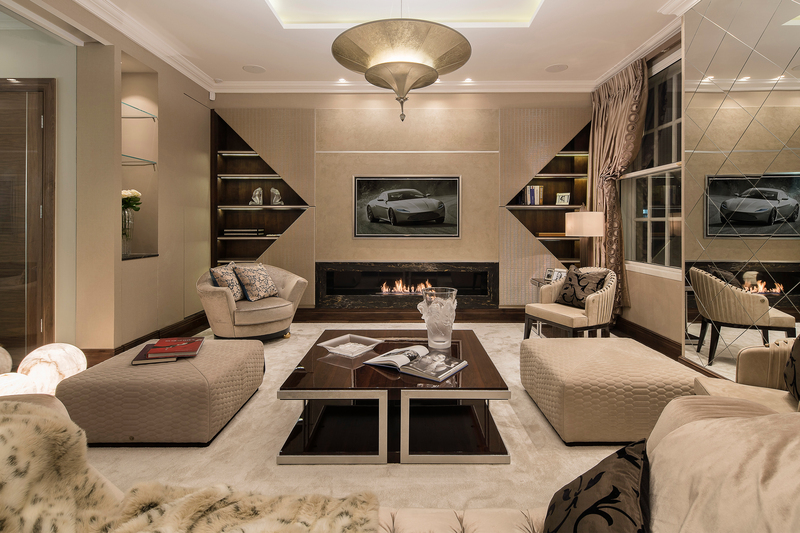 The reception room main elevation of rebated metal bead lines the polished plastered TV wall and sits centred above a remote controlled marble clad ethanol burner. Either side are book cases with 50mm thick walnut open shelving and triangular chain mail upholstered doors. We mix natural stone with polished plaster, paint against wallpaper, engineered wood flooring against metal profiles and carpet inserts. 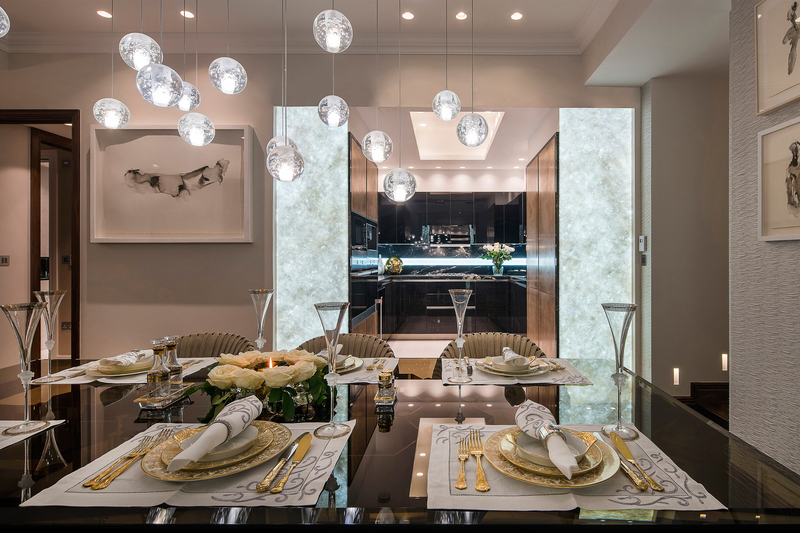 In the kitchen a mixture of liquid metal doors, ostrich feather lacquered bass units and black glass wall units were chosen. These materials are interchanged and re-implemented throughout to keep continuation but to make each space distinct and interesting. Also worth mentioning that Alexa controls the entire house! They are a very important institute which pushes the very boundaries of innovative and new design. They give designers a platform to showcase their achievements and show you what you are competing against. Each year the standards increase and each year you have to up your game. They also showcase design to a wider audience which gives your work the necessary critical platform for all to see and discuss. 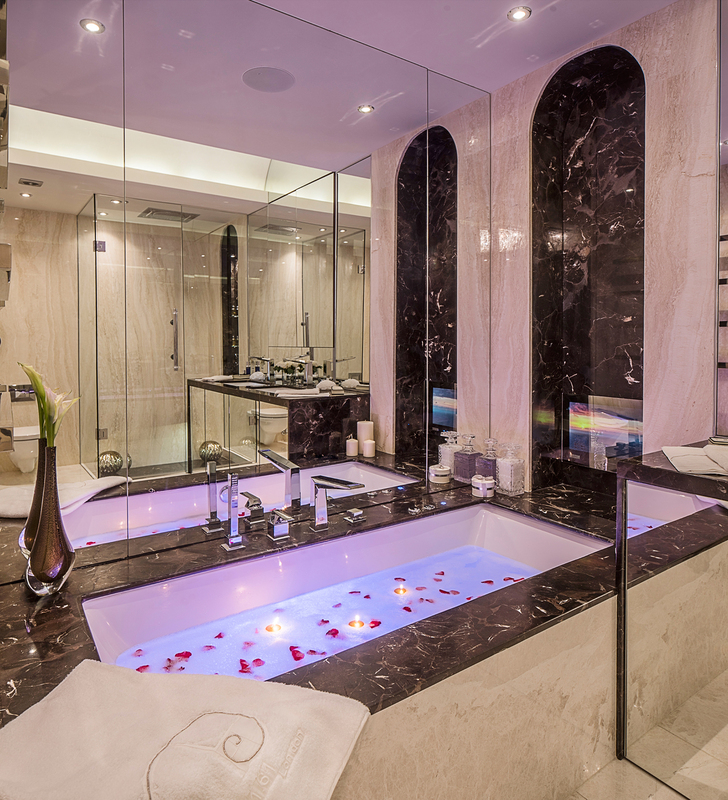 To see more inside this lavish Mayfair apartment watch the video tour, here. If you missed last week’s Project of the Week with the fiery and exotically-inspired Bankside abode by Hill House Interiors, click here to see more.